Bitcoin stock brokers are mostly established trading platforms which already exist since many years. Their core business is to provide stock trading (in the form of CFDs) besides forex, indices, commodities and metals. This means that they are usually highly professional and have lots of experience in the field of online trading. Finally, some modern stock brokers nowadays provide Bitcoin trading as well, as the cryptocurrency could show that it has to be taken seriously as an asset. So you can enjoy trading both on one platform, traditional stocks as well as Bitcoin (BTC or XBT) which makes things pretty easy. 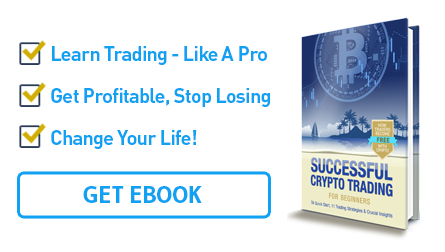 This is of course useful for all traders that are experienced in stock trading since years and now want to join the Bitcoin trading hype as well as they already bring all the professional chart analysis skills needed for successful trading. SimpleFX is a Bitcoin stock broker designed for lovers of cryptocurrency. While it is possible to deposit fiat money by wire transfer, credit card and other payment options, users are also free to just use cryptocurrencies for deposits and withdrawals which enables a complete anonymous use of the broker platform. Great about SimpleFX is also that they don't charge trading fees at all and their site is fairly simple to use, also recommended for beginners. Avatrade is a big established stock broker as well with a highly professional platform. They offer free demo accounts for practicing trading with fake money, so beginners can learn to use the platform without the fear of doing something wrong. The customer support of Avatrade is excellent, they are fast in answering and happy to help anytime.